Beach Accesses, Lifeguards, Leash Laws & More! Each town and village on the Outer Banks tends to have its own set of beach regulations. We encourage you to read up on your specific destination prior to your vacation. View an interactive map of all public beach access points and amenties here. Ready for some off-road adventure? 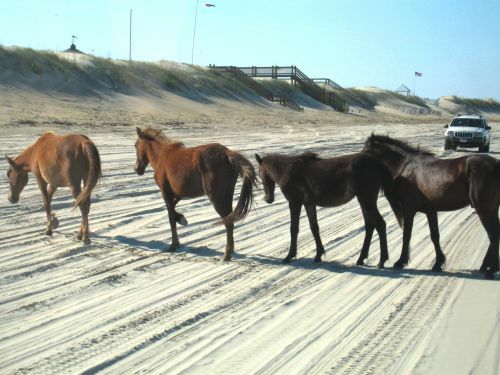 Carova, Swan Beach and our 4-wheel drive beaches are located just north of Corolla. There are no paved roads, which means a 4x4 truck or SUV is necessary to gain access to these homes and beaches! 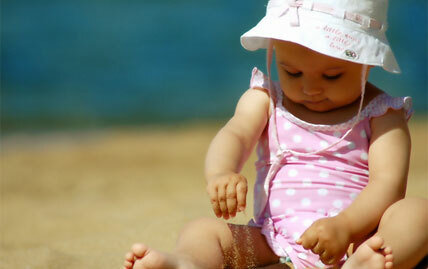 Learn about rules, safety guidelines, beach driving in Carova. Corolla, NC vacationers fall in love with the wide, soft, sandy beaches offering both private and public beach accesses, excellent lifeguards and countless opportunities for family fun! Learn about beach accesses, safety and regulations in Corolla. 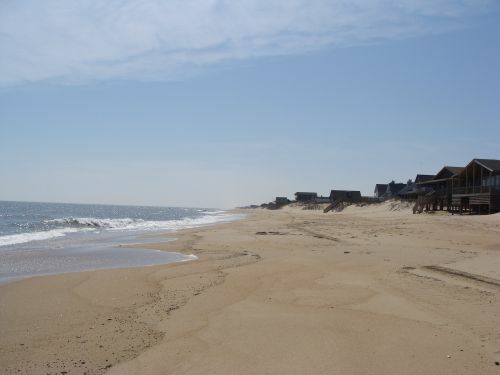 Town of Duck vacationers, residents and invited guests enjoy private access to lovely and uncrowded beaches. You won't find any public beach accesses but you will find miles of peaceful coastline, lifeguard stands and families playing in the waves. Learn about beach regulations, leash laws and lifeguarded beaches in Duck. These two classic beach towns have very different regulations. Southern Shores only offers private beach access to residents and guests, while Kitty Hawk offers numerous public beach accesses. Both towns boast beautiful beaches and coastlines! Learn about beach regulations and access in Kitty Hawk and Southern Shores. Kill Devil Hills sits right in the heart of the Outer Banks. A day on the beach in KDH is all about classic family fun offering plentiful public beach accesses, ample parking, showers, and restrooms. 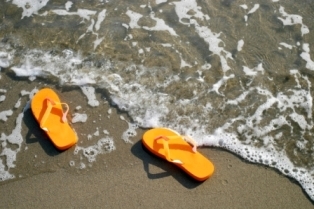 The beaches are constantly bustling with activity during the summer months. 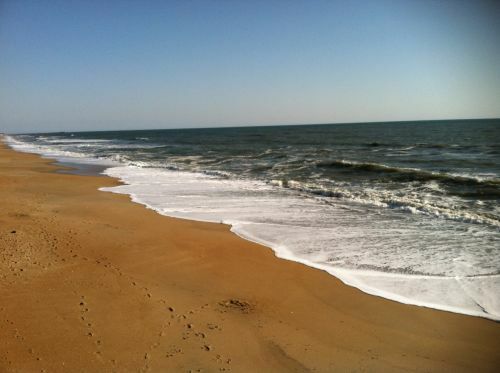 Learn about beach regulations and access in Kill Devil Hills. 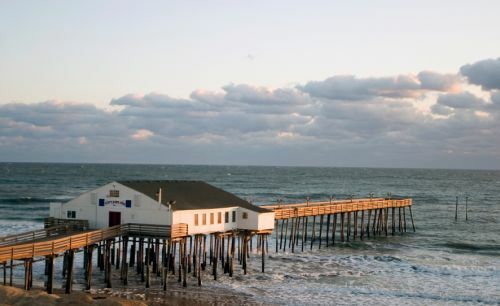 A pristine coastline and cool sea breeze of the quintessential beach town of Nags Head, NC will have you coming back year after year. The rich history, miles of naturally beautiful coastline, and glistening water makes it the perfect beach getaway. Learn about beach regulations and access in Nags Head. The beaches of Hatteras Island are known for their soft sand, rolling waves, and solitude. Hatteras Island offer a long stretch of coastline you can enjoy by accessing a public beach, your own private beach access, or driving an off-road vehicle on a designated ramp. Learn about beach regulations and access on Hatteras Island.